Welcome to the Memories Captured Project, a series designed to help parents take beautiful pictures of their children. See more in the series here. 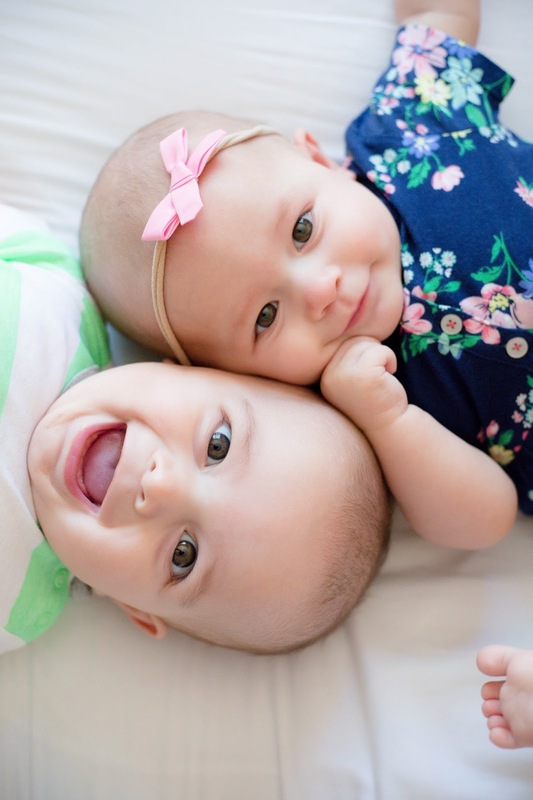 Today's post is all about those baby smiles. The question I get most often is how I find good light in my home (see the answer here! ), but the second most frequent question is how I get my kids to smile for the camera so often. First of all, baby personalities do have something to do with it. My oldest was probably the most smiley baby on the planet. 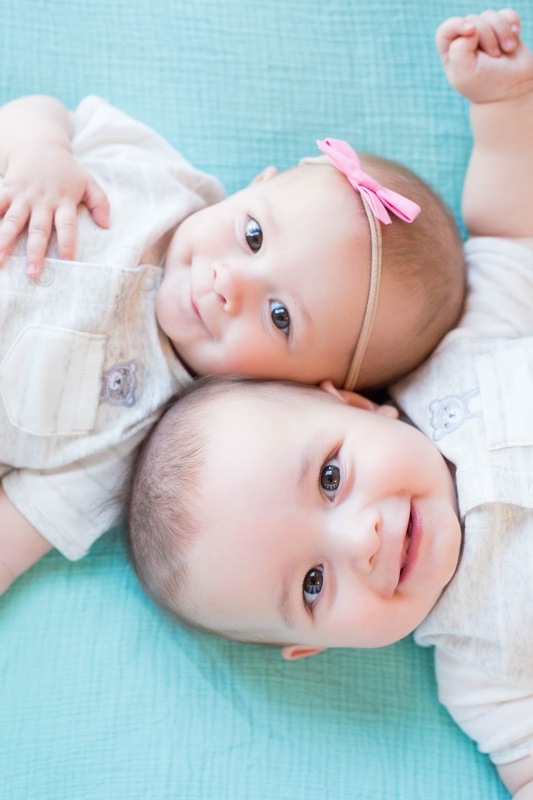 And of my twins, one is way more likely to smile at you, while you have to really earn a smile from the other one. 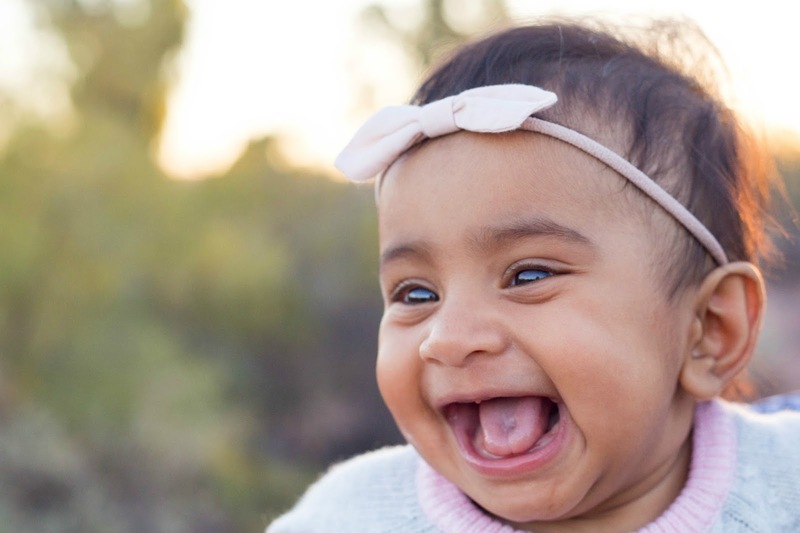 That being said, I'm happy to share what I do to get my babies (and my photography clients) to give a big gummy heart-melting smile for the camera. This is my trump card and number one tip! 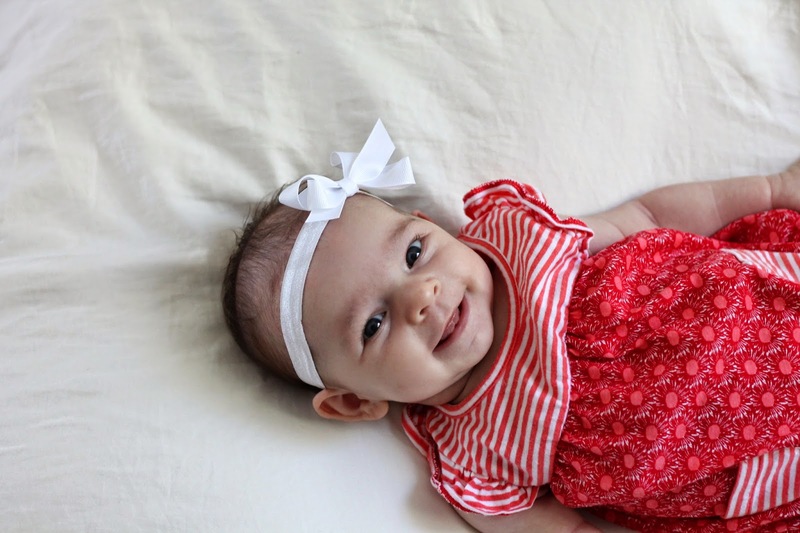 Babies are social creatures, and they're way more likely to smile when somebody else is there to say "Hi!" and "Boo!" and make ridiculous silly noises. 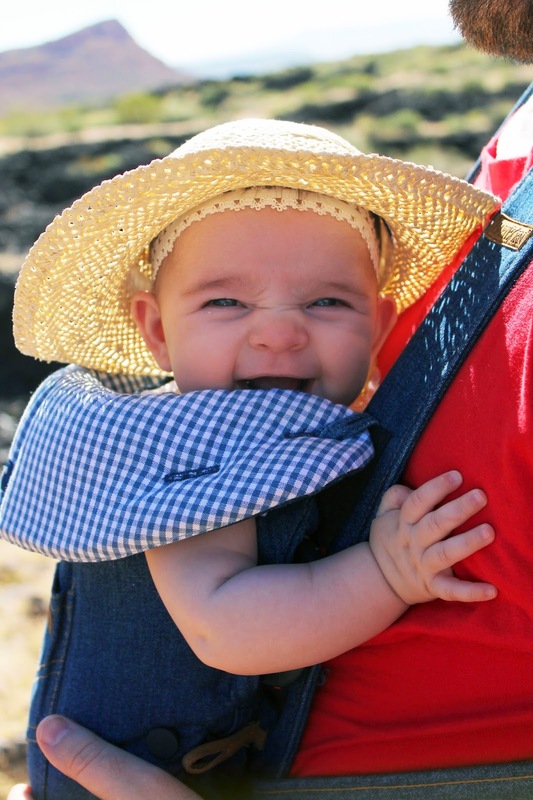 Babies are much more likely to smile for a familiar face than a strange clicking camera. In the picture below, my toddler was standing right next to me making the babies smile. Babies don't understand that if they smile for ten minutes, THEN they'll get fed. I like to take pictures when babies are the happiest - usually in the mornings, after a nap and a big meal. This picture was taken right after my daughter woke up from her morning nap, during the five minutes when she's just happy to be alive and doesn't realize she's hungry. Find what works for your baby and prime the conditions. I was recently at a wedding and the photographer offered to take a snapshot of my family after the big group pictures were over. Honestly I told her no thank you, because we had a baby who had missed her nap for the wedding and was about thirty seconds from a breakdown. I knew if we tried to get smiles out of her it would only end in tears from the baby and stressed out faces on the parents. If you're photographing a toddler, toys are a huge hit (especially toys you can whack yourself in the head with). But in my experience, if you pull out a toy mid-photoshoot, the baby will just get distracted and want to reach out to grab and drool on the toy. The exception: I once had great luck hiding behind a teddy bear and playing peek-a-boo with the baby I was photographing. First of all, I say this because I absolutely cherish the three pictures I have of my mom and me together, and I so wish she had been in the frame with me more before she died. Please, parents, do yourself and your children a huge favor. 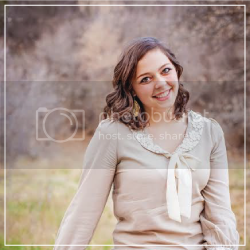 Get out from behind that camera and into the frame with your children. On a more practical note, babies are happy when they're being held and played with, so holding your baby + tickling them + swinging them in the air is a great way to get them to produce huge authentic smiles for the camera. All babies have off days. On some days, for whatever reason, babies are more tired and fussy and don't want to smile for anyone, much less the camera! I know some photography studios that will book a two-hour block for a half-hour newborn shoot, so you have some flexibility if your baby needs one more feeding in order to be happy. At-home photo shoots are much more flexible, so if your baby is not feeling it, try again later! Some of my all-time favorite pictures of my children don't involve them smiling at the camera. Capture their tiny toes, their wide-eyed curious face, the little pout they make when they want to be picked up. You don't need a smile to call it a perfect photo. 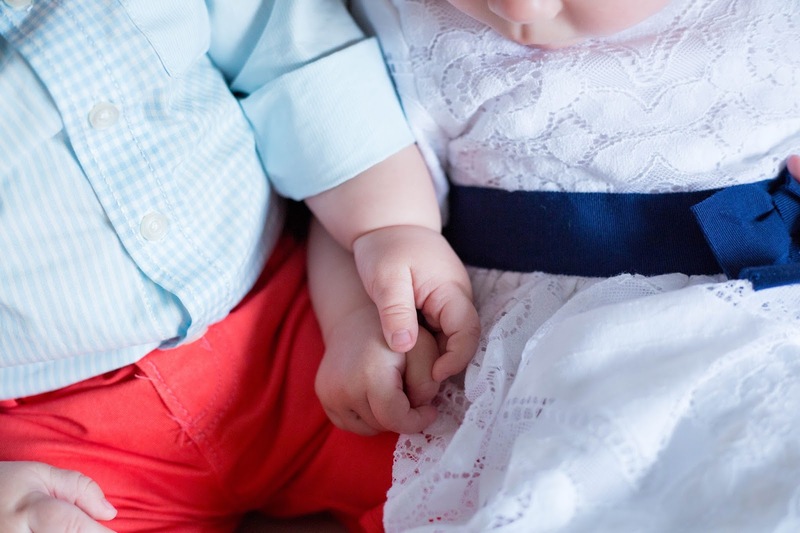 Exhibit A: my twins holding hands in this detail shot. Unless you're shooting on expensive film or have a super old 4GB phone, there is no such thing as too many pictures! In the picture below, I had basically given up on getting a smiling picture. The twins were NOT having it that day. So I let them roll around for a bit, and then they rolled themselves together like this (I just had to adjust my daughter's head a bit) and gave me these cute smiles. Even if you take 100 pictures and keep 5 from a shoot, it's worth the effort to capture those priceless memories. Do you have any magic tips for me to add? How do you get your babies to smile for the camera? And what do you want to learn next? I'm already planning a post about getting your toddlers and older kids to smile.